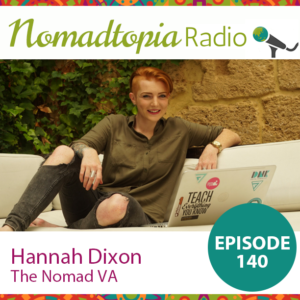 After spending several years doing virtual assistant work online while traveling, Hannah Dixon began her own business training and placing virtual assistants. In this episode, Hannah gives us the inside scoop on working successfully as a nomad along with her tips for taking care of mental health and happiness while on the road. Please leave a review in Apple Podcasts or your favorite podcast app and share it with your friends! Great to see you still producing these helpful podcasts Amy. Well done.